Beautiful, Lg. 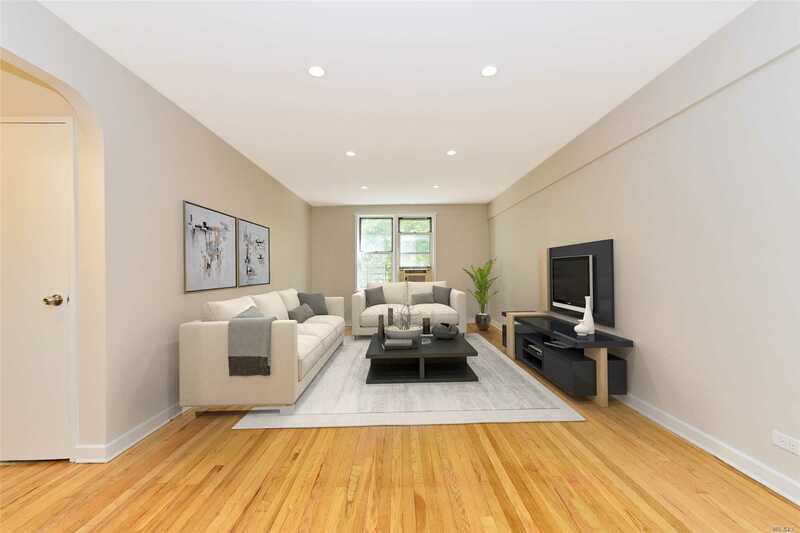 1Br W/Foyer That Opens To An Expansive Living Rm./Dining Area Layout. Pristine, H/W Floors W/Newly Installed, Recessed Lighting. Impeccable, Updated Kitchen W/Granite Countertop/Floor, Stainless Steel Appliances. Spacious Bdrm. Accommodates Any Size Bed. Gorgeous, Renovated Bathroom W/European-Style Vanity, Lg. Tiles. (4) Floor-To-Ceiling Closets. Lots Of Natural Light. Spectacular Lake Views. Private Living Space. Steps To E/F Trains. Ps 196. Don'T Miss Out On This Beauty!